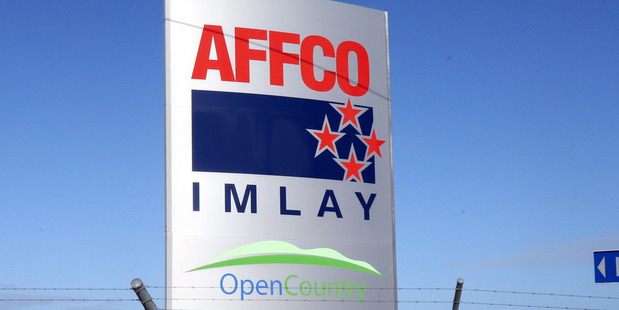 The Employment Court has ruled Affco must allow 200 Wairoa freezing workers to return to their jobs on the day shifts they would have had if the Talley’s-owned meat processor hadn’t illegally locked them out. The decision was hailed by the Meat Workers Union as “finally” delivering “justice” to the plant’s workforce. In November, the court ruled Affco’s lock-out of freezing workers at plants across the North Island who had refused to sign individual contracts earlier in the year was illegal. It also said Affco had breached section 32 of the Employment Relations Act 2000 by not acting in good faith while collective bargaining was continuing. Workers at other plants eventually returned to work under the new contracts but a number of Wairoa workers refused to sign. Both parties were ordered to return to mediation on the Wairoa return to work and any remedies were postponed until after that occurred. However, further mediation talks failed to resolve the long-running stoush. An urgent hearing before Christmas, where the union sought an injunction, failed. However, the judge ruled the union had an arguable case and the hearing, set down for three days, was held at the end of January. In his judgment, released yesterday, Judge Bruce Corkill found that workers who were locked out should be returned to their jobs based on seniority, meaning most of the locked-out union workers would return to working day shifts, rather than the night shifts Affco argued the workers should return on. Affco has until Feb. 23 to do this, or it may face a compliance order. Counsel for Affco, Paul Wicks QC, had argued that seniority wasn’t a factor for determining whether a person worked a day or a night shift, rather a factor that came into play only with all other things being equal. Affco’s ‘but-for’ hypothetical scenario was rejected by the judge. The company had argued that, had they not illegally locked out workers, those workers involved would all have been employed on the night shift as it had started the season with both a day shift and night shift at all its North Island plants, apart from Moerewa. As all workers were re-engaged at the same date at the beginning of the season, the seniority clause would have had no relevance, it said. The judge said it was clear from the evidence from the expired collective agreement, which ran out on Dec. 31 2014, that seniority applied not only within shifts, but across them, and the obligation to take into account seniority when determining re-employment was mandatory. Judge Corkill also found Affco had infringed on section 97 of the Employment Relations Act by employing replacement workers during its lock-out. Affco now has until Feb. 23 to re-employ eligible workers in light of the judgment. The judge will hold a hearing that morning to consider whether that process has been completed, and will consider whether a compliance order should be made if it has not. He will also consider the issue of remuneration for wages not paid during the lock-out. “This decision is a strong one and has given heart to Wairoa Meat Workers Union members who have bravely stood up for their rights,” said the union’s national organising director, Darien Fenton.